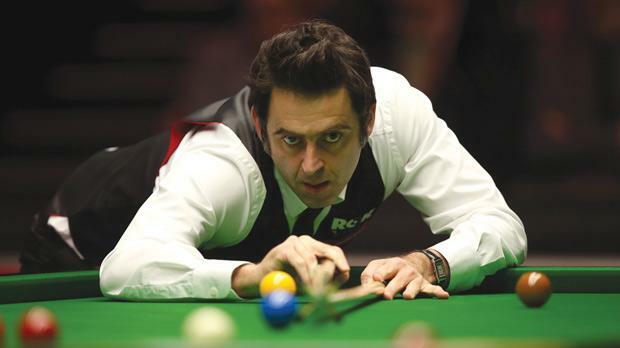 Ronnie O’Sullivan... set to share passion for snooker with a new audience. Eurosport has signed an exclusive deal with reigning world and Masters champion Ronnie O’Sullivan to become its global ambassador for snooker to help drive the international appeal for the sport, World Snooker announced. The role will see Eurosport and O’Sullivan team up to create a series of exclusive snooker programmes, broadcast in 54 countries across Europe, called “The Ronnie O’Sullivan Show” looking at all aspects of the sport. Under the terms of the deal, British Eurosport’s production team will make five half-hour TV shows with the five-time world champion. The programmes will include tournament previews and reviews, snooker techniques and Masterclasses as well as interviews with snooker players and other sporting stars, and take a lighter view of the sport. The first episode of “The Ronnie O’Sullivan Show” will broadcast on March 25, the opening day of the Players Championship Grand Final, when O’Sullivan will reflect on the season to date including his sensational win at the Masters in January, and demonstrate skills in his first Masterclass. The second show is then scheduled for April 16 when O’Sullivan will be in Sheffield to look back on his fifth World Championship win at the Crucible last year, but also to look at the future of the sport at the Star Snooker Academy, as well as catching up with some of the Asian players based there. There will also be another instalment of the Masterclass as O’Sullivan looks at some more ad-vanced cueing techniques. “The Ronnie O’Sullivan Show” promises to give both snooker and sports fans in general a unique view of the sport O’Sullivan loves, and an opportunity to discover what motivates him, which other players inspire him and what produced the famous victories that make up his career to date. “I am really excited by this new development in my career and the opportunity to work with Euro-sport, who are working hard to generate international interest in snooker,” O’Sullivan said. “This project allows me to keep playing, but also to do something a bit different. “Eurosport is helping to grow the game in Europe, so I can share my passion for the sport with a new audience, which is something that really motivates me. “I also have the chance to share what it’s like to be a professional snooker player and look at some of the characters on the tour. In his ambassador role O’Sullivan will also contribute a blog on the Eurosport.com network of websites during the 2014 World Snooker Championship. The commentary line-up for British Eurosport will remain unchanged, with the popular quartet of Joe Johnson, Mike Hallett, Dave Hendon and Philip Studd continuing to provide the majority of commentary and analysis for British Eurosport’s 19 tournaments.